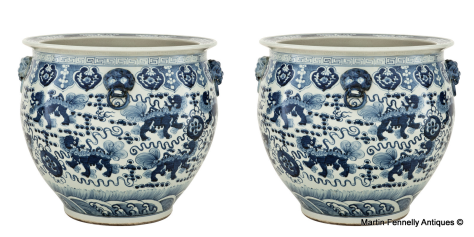 Pair of large Chinese Vases decorated with striking ornate detailing and hand-painted sapphire blue dragons, the fishbowl vase draws influence from ancient Chinese ceramic design. 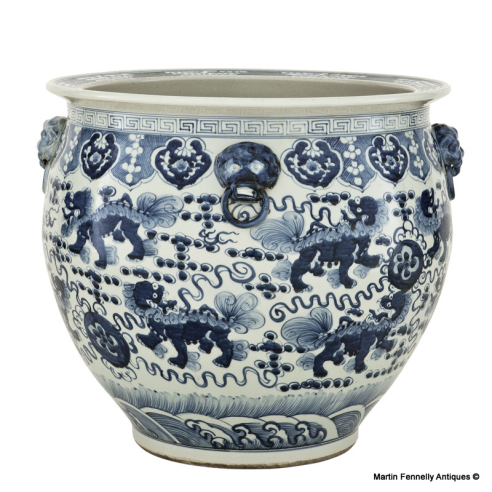 In the ancient art of feng shui, the spiritual dragon is believed to bring prosperity and good luck, so interiors with excellent feng shui are said to enjoy the dragon's ‘cosmic breath’ and good fortune. 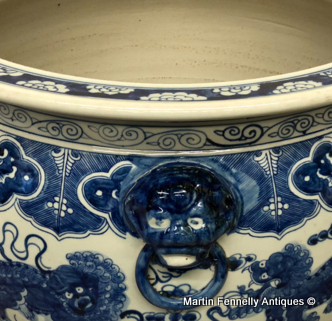 Each sculpture is unique and slight variations in appearance are to be expected and celebrated as no two items are exactly alike.